I've been Googling around for a while and I'm unable to find something that will help me do what I need. 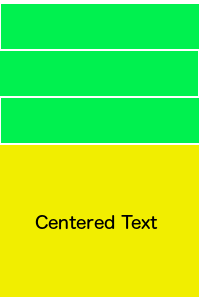 I want a ListView where the footer will expand to fill the screen if there are not enough items to fill the list (And stay in the scroll with a minimum height when its full. Once the minimum height is hit, it should scroll. I understand what you're saying. You'll have to measure a few things to get it to behave the way you want. I came up with a working sample, and posted it on Github. Essentially the Xaml is pretty straight forward. // why the extra 2? Good question, I'm not sure what's accounting for that extra spacing. 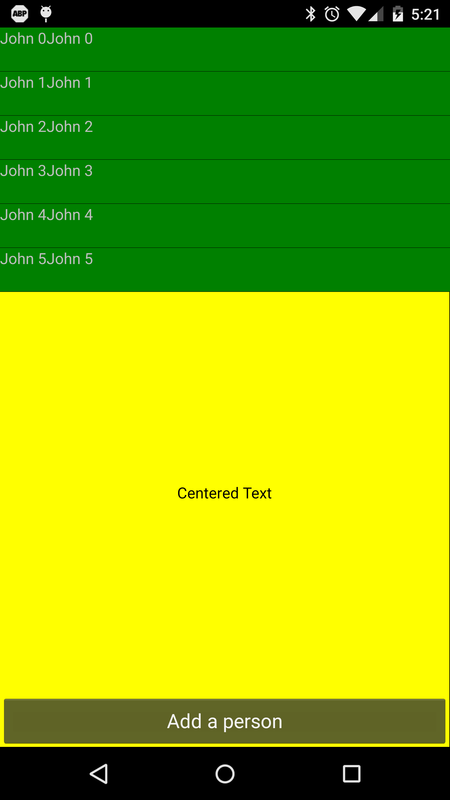 Note, I added the App.Device class, and set the Width and Height from each specific platform. Currently, I'm thinking a custom StackLayout that allows me to use datatemplate, adding an expand label to the end, and wrapping it all in a scrollview. Just want to know if anyone has a better idea. Can't get too much from it unfortunately. I'm looking for a footer to always stay at the bottom of a list, and have its height expand when there is a small number of items in the list. Your solution would work great if I had a set height on my footer. I actually had another list I wanted an accordion for, so this sample would be perfect for that! Hmm.. I think I might have been unclear with my question. I'm not looking for an accordion effect. I want one extra item always at the end of a listview that will auto-expand when there is extra screen height. Meaning when there is 1 item in the listview, its height would be 500, when there are two, it would be 400, 3 -> 300, 4-> 200, 5 -> 100, 6 -> 100, 7 -> 100, 8 -> 100, etc. I haven't see anything like that but it might be possible. Have you tried extending one of those examples and have it your own? Can you not use the footer in that instance? Simply don't expand the ListView, and put a StackLayout below it. ListView always expands. Also, putting a listview inside of a scrollview causes it to expand even more into the additional space allowed from the scrollview. Meaning I can't scale the listview correctly, meaning the label/stacklayout under it cannot expand correctly. Wow! Thank you! Thats exactly what I was looking for! I have a similar implementation to be done. However, my listview row height is dynamis (I use HasUnevenRows=True). How can I achieve the same with LayoutOptions? 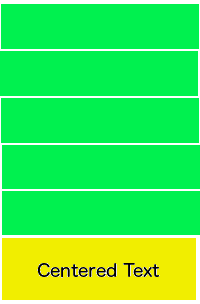 Just setting up the LayoutOptions of the StackLayout, Vertical=FillAndExpand, Horizontal=FillAndExpand does not help to get the right result. Anyone has come across similar issue. Kindly help.